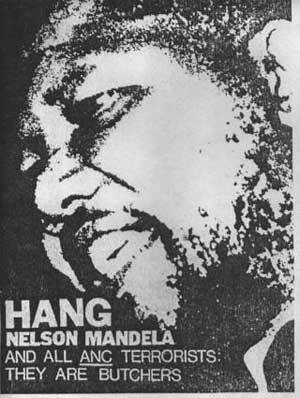 Nelson Mandela’s greatness may be assured – but not his legacy by John Pilger | कृति मेरे मन की……. When I reported from South Africa in the 1960s, the Nazi admirer B J Vorster occupied the prime minister’s residence in Cape Town. Thirty years later, as I waited at the gates, it was as if the guards had not changed. White Afrikaners checked my ID with the confidence of men in secure work. One carried a copy of Long Walk to Freedom, Nelson Mandela’s autobiography. “It’s very eenspirational,” he said. Mandela had just had his afternoon nap and looked sleepy; his shoelaces were untied. Wearing a bright gold shirt, he meandered into the room. “Welcome back,” he said, bursting into a smile. “You must understand that to have been banned from my country is a great honour.” The sheer grace and charm of the man made you feel good. He chuckled about his elevation to sainthood. “That’s not the job I applied for,” he said drily. Still, he was well used to deferential interviews and I was ticked off several times – “you completely forgot what I said” and “I have already explained that matter to you”. In brooking no criticism of the African National Congress (ANC), he revealed something of why millions of South Africans will mourn his passing but not his “legacy”. I asked him why the pledges he and the ANC had given on his release from prison in 1990 had not been kept. The liberation government, Mandela had promised, would take over the apartheid economy, including the banks – and “a change or modification of our views in this regard is inconceivable”. But once in power, the party’s official policy to end the impoverishment of most South Africans, the Reconstruction and Development Programme, was abandoned, and one of his ministers boasted that the ANC’s politics were Thatcherite. Few ordinary South Africans were aware that this “process” had begun in high secrecy more than two years before Mandela’s release, when the ANC in exile had, in effect, done a deal with members of the Afrikaner elite at a stately home, Mells Park House, near Bath. The prime movers were the corporations that had underpinned apartheid. Around the same time, Mandela was conducting his own secret negotiations. In 1982, he had been moved from Robben Island to Pollsmoor Prison, where he could receive and entertain people. The apartheid regime’s aim was to split the resistance between the “moderates” that it could “do business with” (Mandela, Thabo Mbeki, Oliver Tambo) and those in the front-line townships who were leading the United Democratic Front. On 5 July 1989, Mandela was spirited out of prison to meet P W Botha, the white-minority president known as Die Groot Krokodil (“the big crocodile”). Mandela was delighted that Botha poured the tea. With democratic elections in 1994, racial apartheid ended and economic apartheid had a new face. The Botha regime had offered black businessmen generous loans, allowing them to set up companies outside the Bantustans. A new black bourgeoisie emerged quickly, along with a rampant cronyism. ANC chieftains moved into mansions in “golf and country estates”. As the disparities between white and black narrowed, they widened between black and black. In the townships, people felt little change and were subjected to evictions typical of the apartheid era; some expressed nostalgia for the “order” of the old regime. The postapartheid achievements in desegregating daily life in South Africa, including schools, were undercut by the extremes and corruption of a “neoliberalism” to which the ANC devoted itself. This led directly to state crimes such as the massacre of 34 miners at Marikana in 2012, which evoked the Sharpeville massacre more than half a century earlier. Both were protests about injustice. Mandela, too, fostered crony relationships with wealthy whites from the corporate world, including those who had profited from apartheid. He saw this as part of “reconciliation”. Perhaps he and his beloved ANC had been in struggle and exile for so long that they were willing to accept and collude with the people’s enemy. There were those who genuinely wanted change, including a few in the South African Communist Party, but it was the reform-and-redeem influence of mission Christianity that may have left the most indelible mark. White liberals at home and abroad warmed to this, often ignoring or welcoming Mandela’s reluctance to spell out a coherent vision, as Amilcar Cabral and Pandit Nehru had done. Mandela seemed to change in retirement, alerting the world to the post-9/11 dangers of George W Bush and Tony Blair. His description of Blair as “Bush’s foreign minister” was mischievously timed; Mbeki, his own successor, was about to visit Chequers. I wonder what he would make of the “pilgrimage” to his cell on Robben Island by Barack Obama, the unrelenting jailer of Guantanamo. When my interview with him was over, he patted me on the arm as if to say I was forgiven for contradicting him. We walked to his silver Mercedes, which consumed his small grey head among a bevy of white men with huge arms and wires in their ears. One of them gave an order in Afrikaans and he was gone.